Lloyd, aka "Mr. Long Hair Don't Care" recently decided to start fresh and cut off his long hair after over 10 years of growing it out. He donated his hair to Locks of Love, which means it will provide a hair piece for a financially disadvantaged child suffering from long-term medical hair loss. I love his new look and that he did it for a great cause, very inspiring. A fresh new look to go along with his hot new single "Lay It Down" from his upcoming album King Of Hearts. You can currently purchase the single on iTunes! Vibe.com has more coverage, including video of the before and after process. Special shout out to my fam at LloydLadies.com! 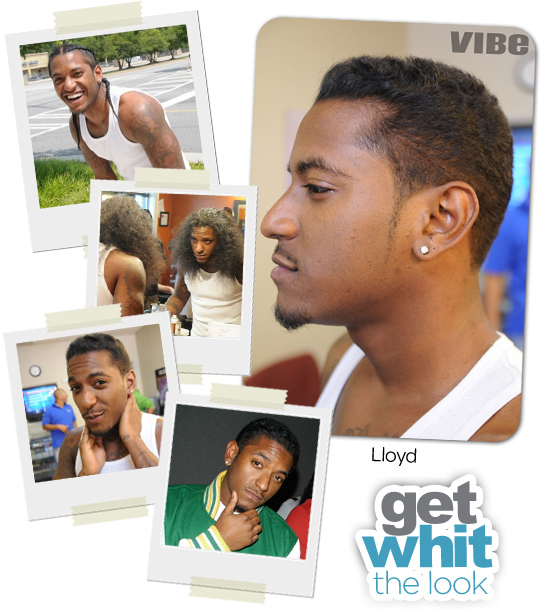 So what do you think of Lloyd's new look?